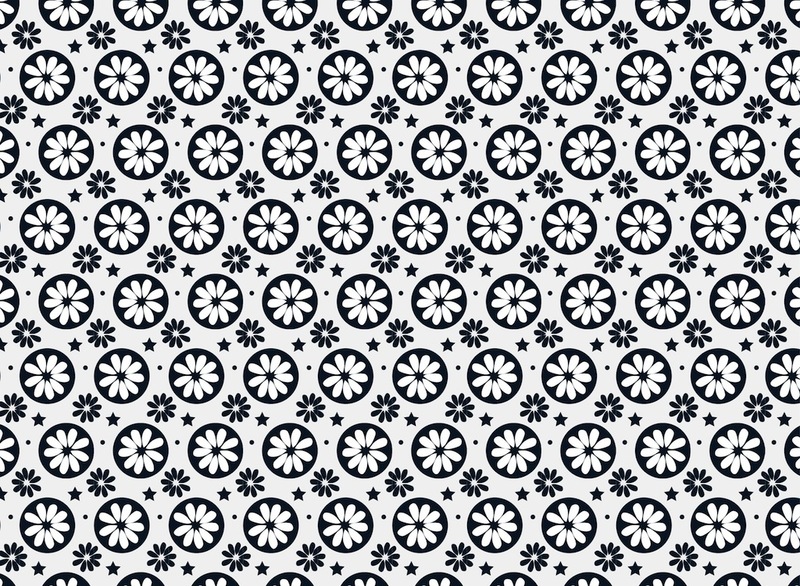 Vector graphics of seamless floral pattern. Cartoon flower icons in neutral colors. Different colors and sizes, bigger flowers in circles, smaller blossoms, stars and dots around them. Free vector pattern for backgrounds, backdrop images, wallpapers, clothing prints and fabric patterns designs. Tags: Abstract, Background, Dots, Flowers, Seamless Pattern, Stars.